In the early 1990s, Vivian Naidoo, CEO of MIB Technology, saw endless opportunities in the then fledgling ICT industry in South Africa and Africa. It was this curiosity and drive that led Naidoo to begin his entrepreneurial journey in hardware and software in Scottburgh (KwaZulu-Natal). Vivian’s pioneering spirit led to various partnerships and opportunities in the South African ICT industry, which includes a partnership with SENTECH that led to the landing of satellites that provide affordable internet connectivity to both potential clients and communities. His unconventional and innovative leadership style landed MIB Technology a victory in the coveted SAB Business Plan Competition ahead of thousands of cutting-edge South African peers. 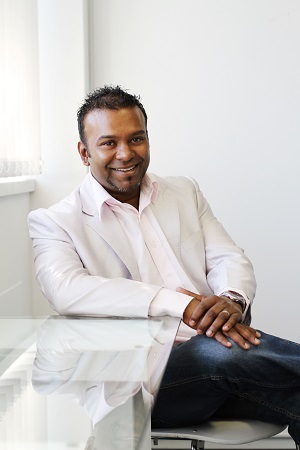 Naidoo has occupied roles in corporate companies such as Coca Cola and managed tender processes for others while building his entrepreneurial savvy. This led him to building MIB Technology into a business that maintains its start-up culture in both development and in keeping the organisation nimble and agile in all its processes. Build an innovative e-learning platform called Train Your Brain (TYB): a seamless learning and training platform for schools, higher learning institutions and businesses. Lead the process for MIB Technology to partner with the Mark Shuttleworth Foundation to integrate mathematics and science curricula into the Ubuntu Linux platform for e-learning. Create a localised Wi-Fi system that enables increased connectivity for learning purposes in communities with a lack of internet access. Enable South African public and private schools to connect to an endless library of information and lessons. Partner with internationally-accredited institutions in e-learning, cutting-edge technology organisations and book publishers whose work form part of the MIB Technology library. Aside from his passion for building sustainable responsible business, Vivian Naidoo is committed to empowering communities that MIB Technology interacts with and enabling other entrepreneurs to build organisations that contribute to society. Vivian travels extensively across the world to find technology solutions that can be utilised in Africa for education and e-learning, and to participate in forums that establish best practices for the ICT industry.